Maldives has established diplomatic relations with Ethiopia. 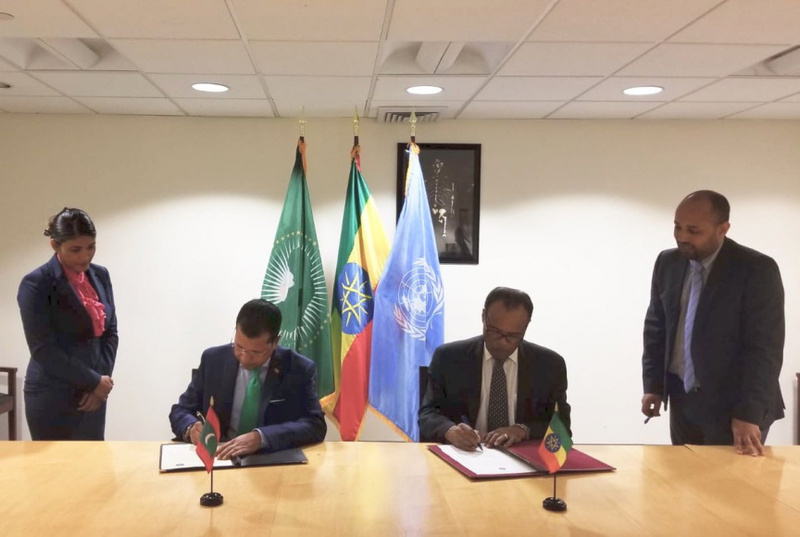 The joint communiqué was signed by Permanent Representative of Maldives to United Nations, Dr. Ali Naseer Mohamed and Permanent Representative of Ethiopia to the UN, Tekeda Alemu in a function at the UN last Monday. Ethiopia is the 170th country Maldives has established diplomatic relations with. Ethiopia is a landlocked country located in East Africa. Rich in culture and heritage, Ethiopia has a population of approximately 102 million people. The capital of Ethiopia is Addis Ababa and the official language of the country is Amharic.